Scott LePage, one of the two imaginative guitarists of the band Polyphia, has been an Ibanez player for quite a while and after intense collaboration with Scott, Ibanez is finally able to introduce his official signature guitar, the SLM10. Speed, fluidity, note clarity, and unrivaled technical proficiency -- these are the words that might come to mind if needing to describe the music of the band Polyphia. In order to deliver such technically demanding style, players require a guitar that will excel in this type of music -- the SLM10. 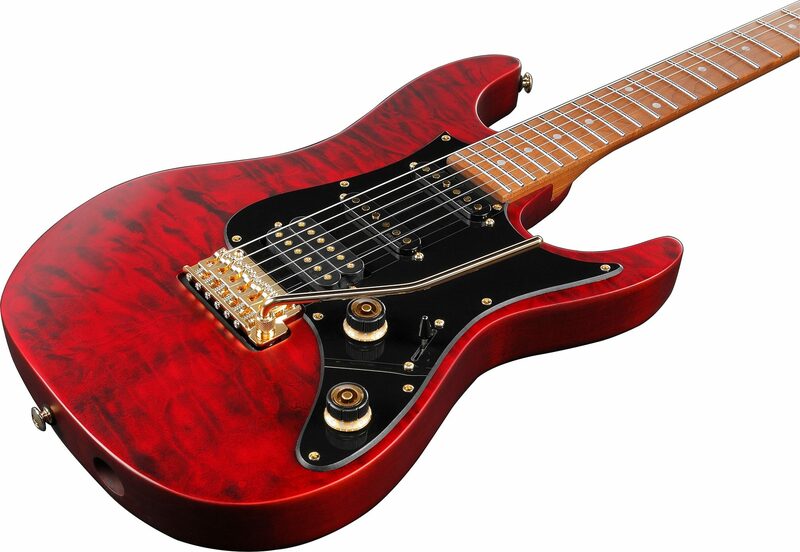 The guitar is based heavily on Ibanez's popular AZ series. 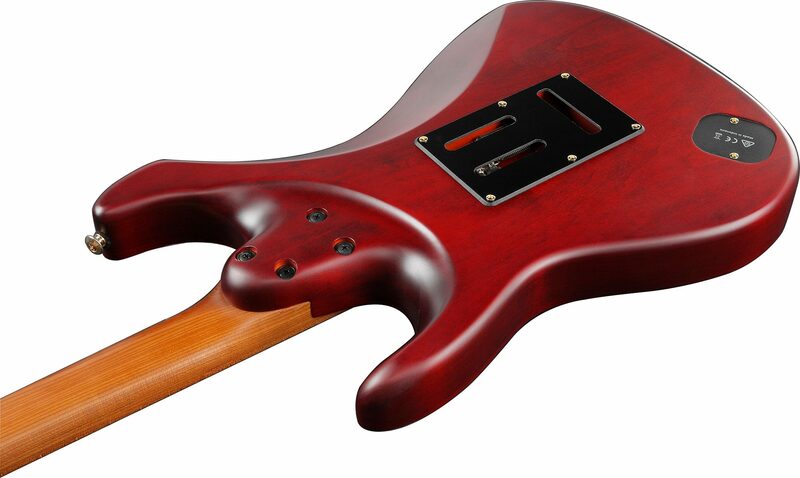 It comes equipped with an oval C shaped AZ style neck, roasted for extra durability and playing comfort. 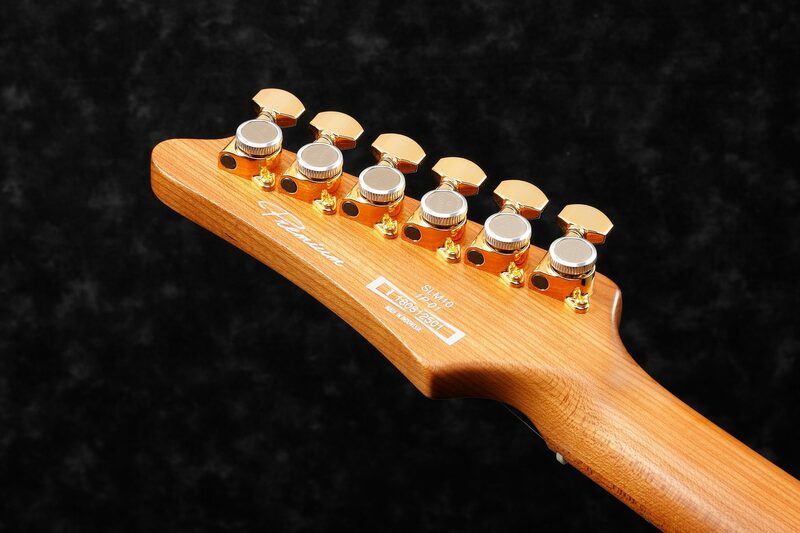 It also features a roasted Maple fingerboard with white dot inlays and Jumbo Stainless-Steel Frets. 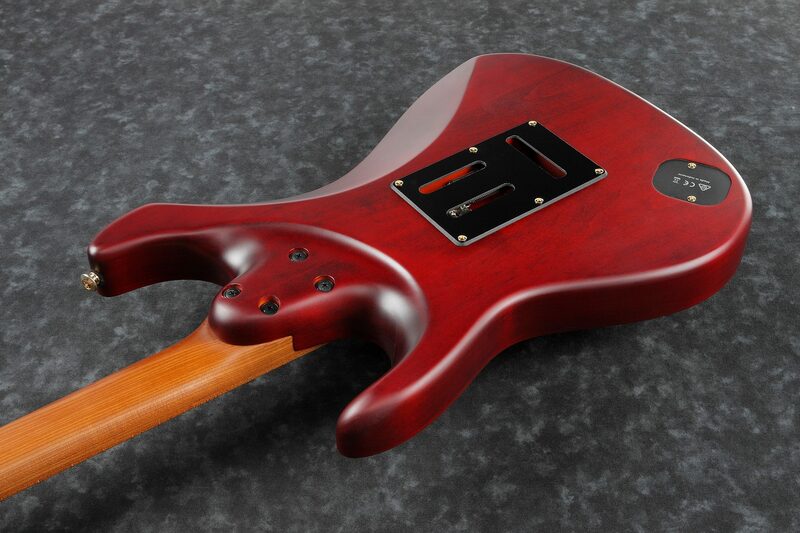 The guitar is equipped with luminescent side dot inlays, a feature that has become very popular on other Ibanez models. 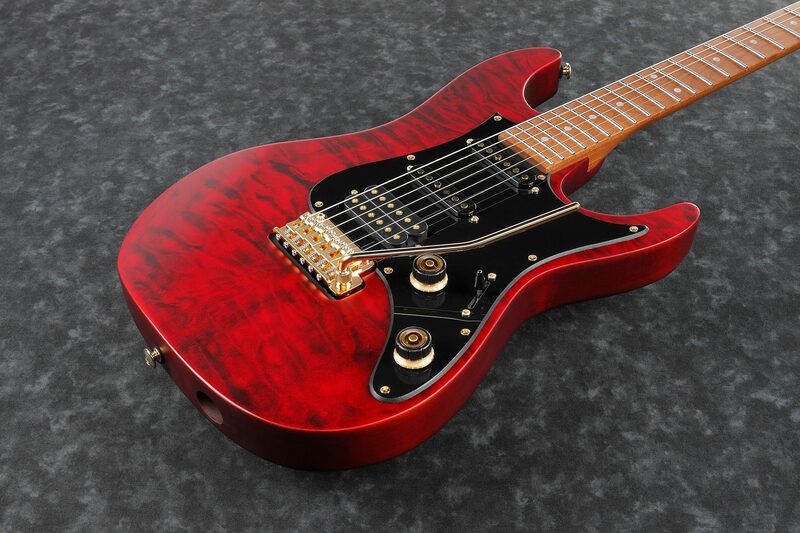 The neck and middle pickups are DiMarzio True Velvet, and the bridge pickup is designed by DiMarzio specifically for Scott. 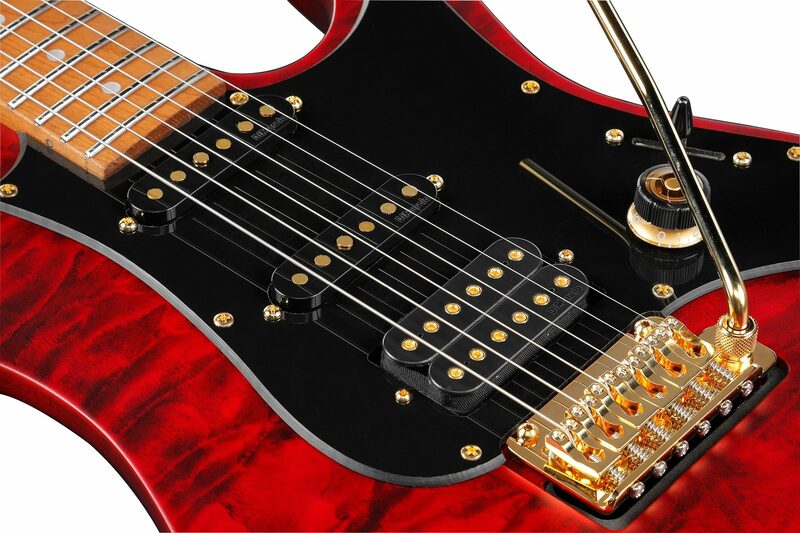 Other useful features include a Graph Tech nut, T1502 by Gotoh tremolo bridge, and Gotoh MG-T locking machine heads. 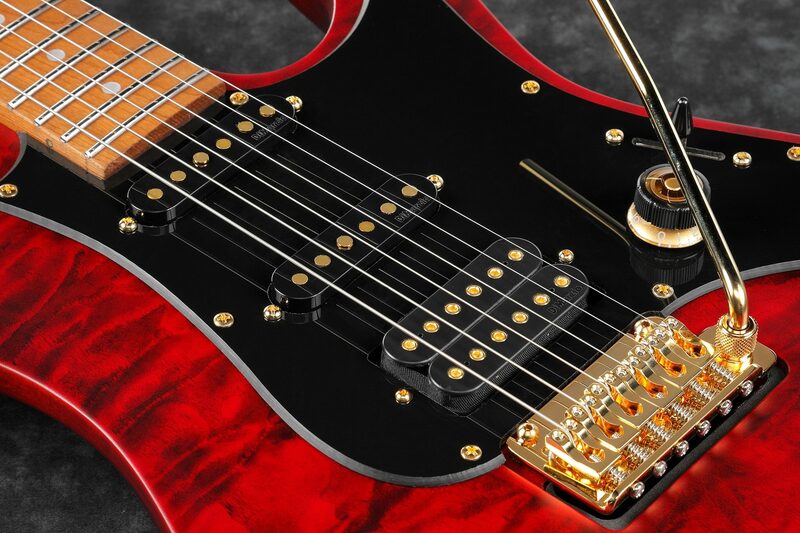 The guitar imparts a modern but mature look thanks to its Quilted Maple top and gold hardware. close [x]More ExpectedWe have been given a date of Jul 4 for the arrival of this item. This date is not guaranteed, rather an estimate based on either information obtained directly from the manufacturer or historical delivery data for the specific manufacturer.